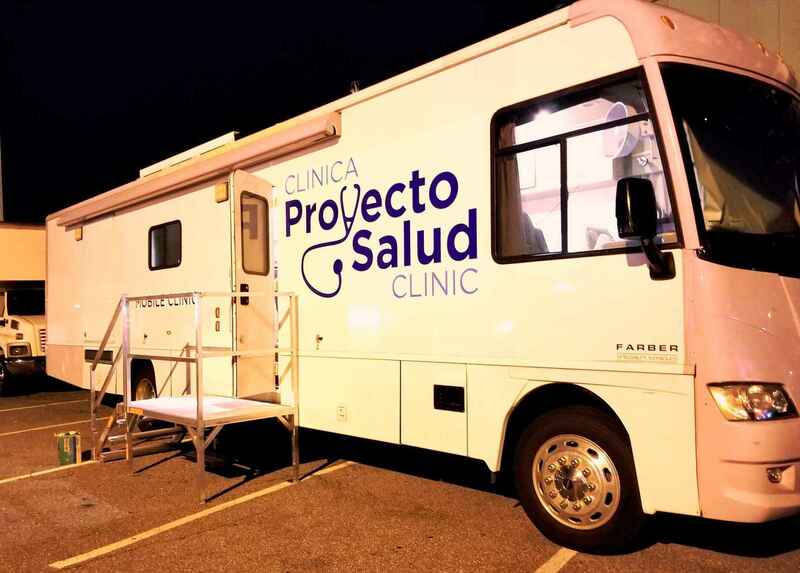 Proyecto Salud Clinic - Giving Season 2018! Giving Season - time to celebrate compassion and generosity!! Please make a donation today to provide medical services to the vulnerable. Numerous local low-income immigrant families don't have a medical home or a doctor, to visit to talk about their aches and healthcare needs.They face many competing family priorities that need attention, and not enough resources to cover all; sometimes, visiting a doctor occurs until the pain is too great to bear, or an emergent physical limitation prevents the family breadwinners from continuing working. Your generous donation will help change that! A patient we'll call 'Margarita' came to our clinic seeking a medical consultation; she had been suffering from headaches and back pain. Our team of clinicians not only diagnosed and treated 'Margarita's current ailment, but also order all the needed cancer screenings. It turned out that 'Margarita' had also breast cancer in its early stages. Fortunately, the cancer was promptly detected and appropriately treated. 'Margarita' was supported in the coordination of her care by a Proyecto's patient navigator; This is a success story we want to repeat over and over again; you can help us do this by donating today! My hope is to assist in the provision of medical services to the vulnerable! With many thanks to all those that make this possible! Projecto Salud deserves all of our support to continue their life-saving work! Great work Cesar, and the Team! May God continue to bless all the staff at Proyecto Salud. The work you are doing is invaluable. Everyone deserves to receive medical care so that they can live healthy, full lives without worrying about compromising their financial state. Let's work towards a "giving community" to ensure that every life does matter.